Serving as a loved one’s family caregiver can be demanding and stressful, but has its rewards. 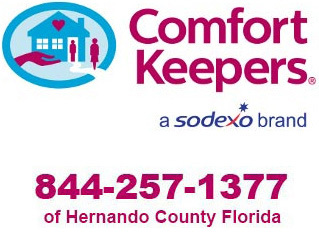 In this article, Comfort Keepers® provides you helpful advice on how to manage your caregiving responsibilities to control the stress so you can better appreciate your role as caregiver. If it is any consolation, as a family caregiver, you are not alone. An estimated 44 million Americans—accounting for 21 percent of all U.S. households—regularly care for an elderly relative or friend. 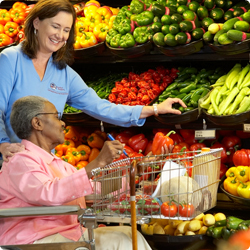 Family and friends provide an estimated 80 percent of senior care. As you will read here, there are many supportive resources available to you. So, in the interest of your physical, mental and emotional health—and that of your family and the person you are caring for—don’t approach caregiving responsibilities as if you were alone. We assure you, you are not alone. Often, family and friends want to help. They just do not know how. As a caregiver, you can make it easy on them—and yourself—by always having a list of assignments ready, like preparing meals, picking up a few things at the grocery, going on a walk with the senior, or staying with him or her from time-to-time. Arrange for a family member, friend or volunteer from a church or senior center to call you on a regular basis to see if you need any help. The Family Caregiver Alliance’s state-by-state Family Care Navigator. Strength for Caring, Johnson and Johnson’s resource center for caregivers. Recognizing and Coping With Caregiver Burnout from Peel Public Health of Canada. Preventing Caregiver Burnout from a resource guide for caregivers from the Area Agency on Aging of Pasco-Pinellas, Inc. in Florida.